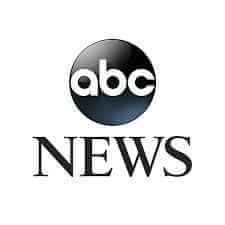 Check out these interviews from ABC News and CBS News of actual patients using Help Hair Shake and Help Hair Vitamins for hair loss. Click TV icons for each interview. Before and After Pictures using Help Hair Shake and Help Hair Vitamins- Scroll to bottom of the page to see Mens Pictures. 5 months after using Help Hair Shake and Help Hair Vitamins daily with Help Shampoo and Conditioner. Great Results 5.5 months after using Help Hair Shake and Help Hair Vitamins daily with Help Shampoo and Conditioner. Amazing Results 5 months after using Help Hair Shake and Help Hair Vitamins daily with Help Shampoo and Conditioner. Before and after picture of a menopausal woman with hair loss. Terrific Results 6 months after using Help Hair Shake and Help Hair Vitamins daily with Help Shampoo and Conditioner. 55 year old women using Help Hair® Shake for 8 months. Noticed improved density and texture of hair. 7 months using Help Hair shake daily. No hair transplant. Patient of Dr Jen Martinick from Australia, Hair restoration physician and Past President of the ISHRS. Pictures taken by Dr Martinick. 49 year old menopausal woman using Help Hair® Shake and Vitamins for 7 months- notice improved texture. No surgery. This customer sent these before and after pictures and was so pleased because she stopped using her wig. Before/ After 9 months using Help Hair Shake and Help Hair Vitamins with PRP. No surgery. This customer sent these before and after pictures and is a patient of Dr Thomas Griffin from Philadelphia..
Before/After 6 months with Help hair Shake and Help Hair Vitamins on a menopausal woman. Notice improved texture and density. This customer was so excited she sent in her own pictures by cell phone! Before/After using Help Hair Shake and Help Hair Vitamins for 5.5 months daily. No surgery. This 35 year old customer is from South America. We ship worldwide. 45 year old male with hair loss in the crown. Before/After using Help Hair Shake and Help Hair Vitamins for 6 months daily. No surgery. Notice improved texture and fuller hair! Before / After pictures at 7- 8 months using the 4 Step Program. This male customer 58 y/o used 1 Help Hair Shake daily and 1 Help hair Vitamin daily (8-10 hours apart) along with the Help Hair Volumizing Shampoo and Volumizing Help Hair Conditioner. No surgery. Notice texture, caliper, density and quality of the hair has improved. Before Picture of 28 year old male, had prior hair restoration but years later used anabolic work out products- growth hormone and WPI and his hair was severely thinned and damaged. 65 year old male with male pattern baldness. Stress from running the Very Best Bakery in South Florida caused the hair loss. Help Hair Shake restored his hair! "Thanks Help Hair Shake for faster, fuller results!" Help Hair Shake and Help Hair Vitamins are great for hair transplants. It usually takes 9-14 months for full growth. We see faster regrowth, less dormancy and less shock loss with our products. Most patients report full growth 5 months post-op using Help Hair Shake daily and Help Hair Vitamins. We call faster- accelerated regrowth - Accelerated Follicular Restoration or AFR. "Thanks Help Hair Shake! I can work out without my hair falling out." This customer is 21 years old and was losing hair from work out products. Used Help Hair® shake for six months as directed. No transplant. These patients have full growth at 6 months post-op using Help Hair Shake daily and Help Hair Vitamins. Notice accelerated regrowth or AFR. Typically it takes 9-14 months for full growth. We see faster regrowth, less dormancy and less shock loss with our products. These patients are examples of early regrowth starting at 4.5 weeks and full growth at 6 months post-op using Help Hair Shake daily and Help Hair Vitamins. Notice accelerated regrowth or AFR. Typically it takes 9-14 months for full growth. We see faster regrowth, less dormancy and less shock loss with our products. "Help Hair Shake and Vitamins have made my thin hair thicker and fuller. Thank you Help Hair...." Lara Z. More examples of Help Hair Shake and Help Hair Vitamins. No surgery. Adult female, age 44, used Help Hair® shake, vitamins, shampoo & conditioner for six months as directed. Adult female, age 38, used Help Hair® shake & vitamins for three weeks as directed. Adult female, age 34, used Help Hair® shake, vitamins, shampoo & conditioner for four months as directed. Adult male, age 33, used Help Hair® shake, vitamins, shampoo & conditioner for five months as directed.